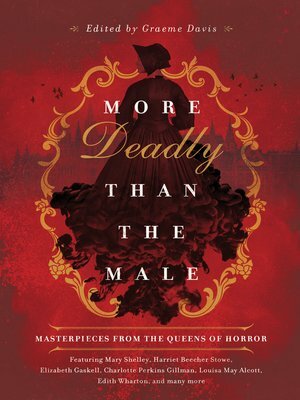 A darkly luminous new anthology collecting the most terrifying horror stories by renowned female authors, presenting anew these forgotten classics to the modern reader. Readers are well aware that Mary Shelley wrote Frankenstein: few know how many other tales of terror she created. In addition to Uncle Tom's Cabin, Harriet Beecher Stowe wrote some surprisingly effective horror stories. The year after Little Women appeared, Louisa May Alcott published one of the first mummy tales. These ladies weren't alone. From the earliest days of Gothic and horror fiction, women were exploring the frontiers of fear, dreaming dark dreams that will still keep you up at night. In The Beckside Boggle, Alice Rea brings a common piece of English folklore to hair-raising life, while Helene Blavatsky, best known as the founder of the spiritualist Theosophical Society, conjures up a solid and satisfying ghost story in The Cave of the Echoes. Edith Wharton's great novel The Age of Innocence won her the Pulitzer prize, yet her horror stories are known only to a comparative few. Readers will discover lost and forgotten women who wrote horror every bit as effectively as their male contemporaries. They will learn about their lives and careers, the challenges they faced as women working in a male-dominated field, the way they overcame those challenges, and the way they approached the genre—which was often subtler, more psychological, and more disturbing.